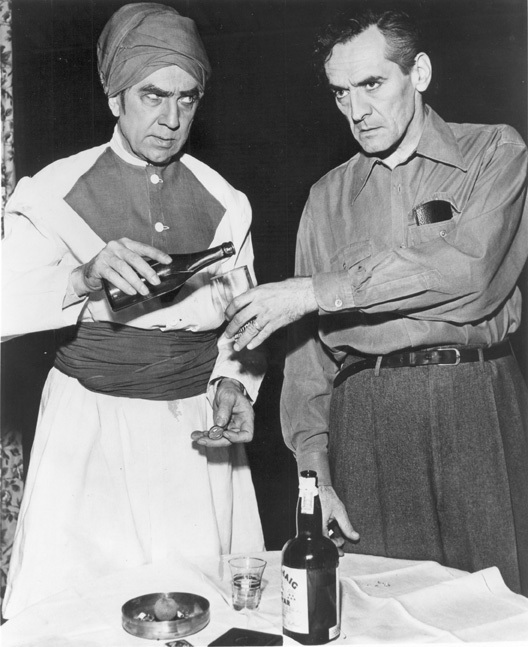 Over these two years, Lugosi appeared in three movies: a minor role in The Body Snatcher (his last film with Boris Karloff), a secondary role in Genius at Work (as henchman to Lionel Atwill’s master criminal), and a top-billed, unrewarding part in the forgettable Sacred to Death, not released until 1947. 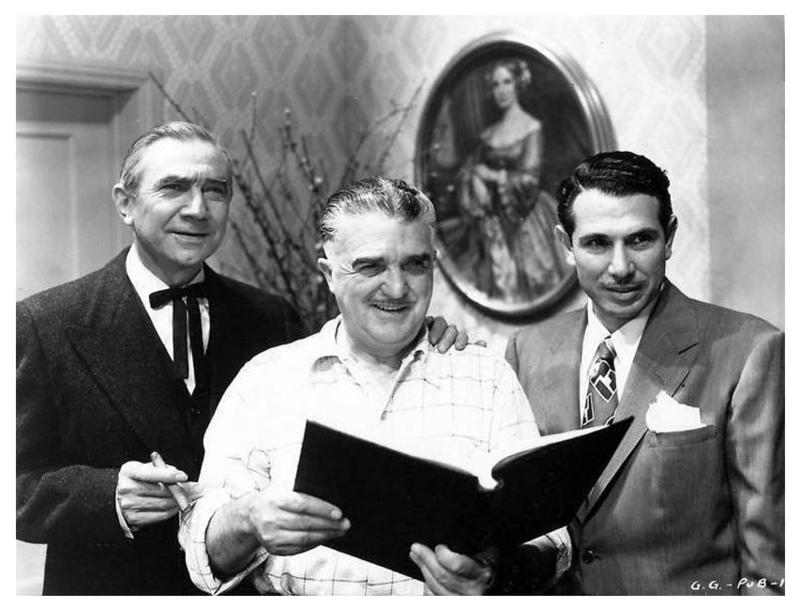 1946 was a great year for the American film industry, but Lugosi played no part in it. What demand remained for his screen talents was satisfied by reissues of his old films. Revivals of many old movies played no small part making 1946 a year of record profits. No income for Lugosi. On stage, he starred as a turbaned Hindu in a new production, No Traveler Returns, which played on the west coast in hopes of a broader tour and perhaps a Broadway slot. Not to be: reviews and business were poor, and it folded in Seattle, never to be seen again. That bad week in Seattle did generate some interviews, which stressed the domestic side of the screen Dracula. Good choice: Lugosi—before he hit the road in 1947 in search of work outside of Hollywood—would spend a lot of time at home. Hollywood—Calling all fiends! Want really to scare the daylights out of somebody? 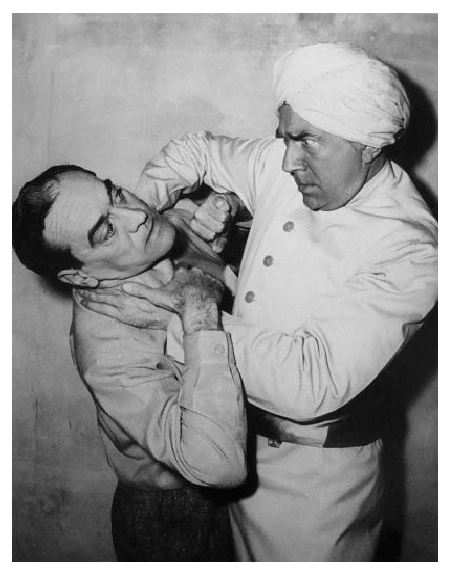 The secret, says Bela Lugosi, is sincerity—to feel a deep conviction that you are actually about to throttle or stab or poison or shoot your victim. Lugosi’s formula for chilling spines includes also a dash of hypnosis he told me on theScared to Death set. I have studied hypnosis and always made it a practice to half or one-quarter hypnotize my fellow actors on the stage so they would respond properly. Dracula’s heavy-lidded, intense little blue eyes bored hypnotically into mine. I backed away and shook myself like a dog leaving a pond. Lugosi, a tall, well-built man with distinguished –looking graying hair, a hawk beak and creased sinister features, could pass in a headdress for an Indian chief. He said he got the Dracula stage role in New York in 1927 not only because both he and the fiction Count Dracula were Hungarians but also because of some hair-raising business he worked out with his hands. I asked him to demonstrate. One of his hands slowly approached, then rested its thumb and fingers lightly about my neck. The other turned into a misshaped claw that pawed menacingly toward my left eye. That was enough, thanks, I said. After Dracula on stage and screen, (a story, you may remember, about a fiend who turned into a wolf or bat and sank his fangs into terrified maidens’ jugular veins), Lugosi was typed as a monster. He finds the niche not always satisfying artistically but pretty steadily rewarding monetarily. Lugosi committed sundry atrocities in movies like White Zombie, Murders in the Rue Morgue, The Black Cat, and The Devil Bat. What’s the most bizarre manner in which he ever committed murder? Off the screen, Lugosi is a harmless courtly individual who dwells quietly with his wife and reads books on social problems and economics. When an automobile knocked a piece out of his German shepherd’s skull, veterinarians fitted a plastic patch—and grieving Count Dracula sat patiently in his pet’s hospital cage while the dog convalesced.